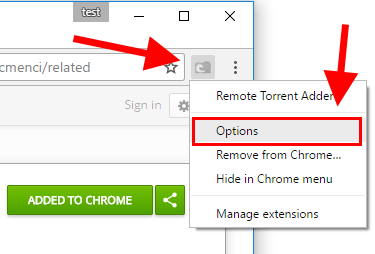 Remote torrent adder is Chrome Extensions that allows you to send torrent files from any tracker site directly to your seedbox's torrent clients. 1. Add extension to chrome. 2. Config extensions by going to options. 4. 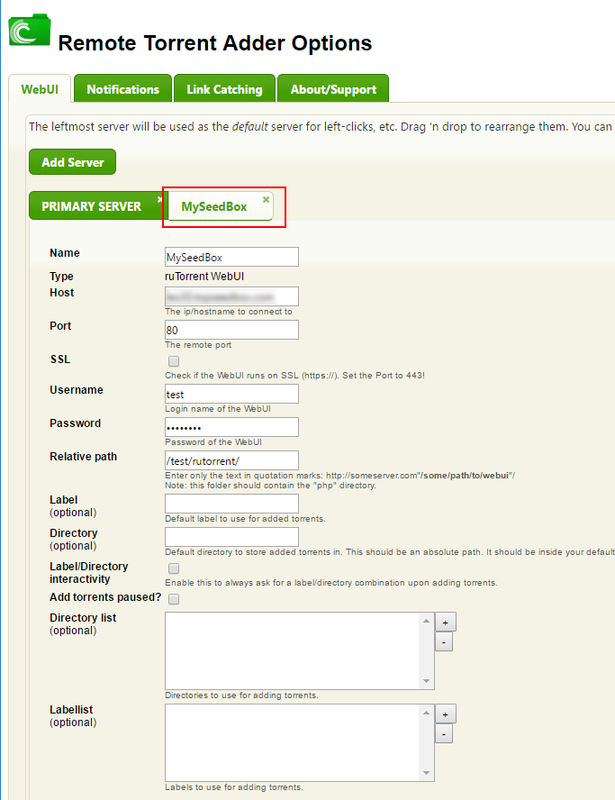 Adding new server . 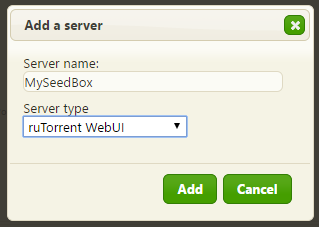 "Server type" choose "ruTorrent Webui"
Important* : Before using extension, you must login to you seedbox via google Chrome. 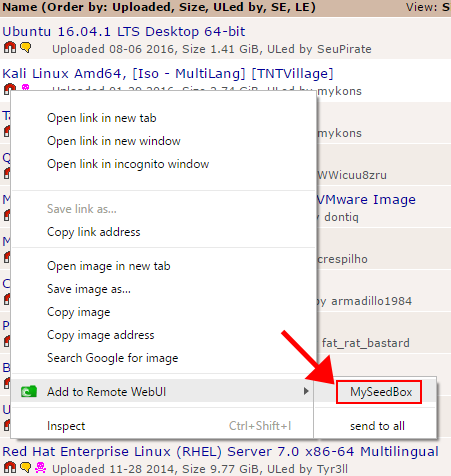 "Add to Remote WebUI -> YOUR Server Name (in this case MySeedBox)"
Torrent will start downloading from you SeedBox right away.